Looking to create an oasis for the bird’s flying into your backyard? 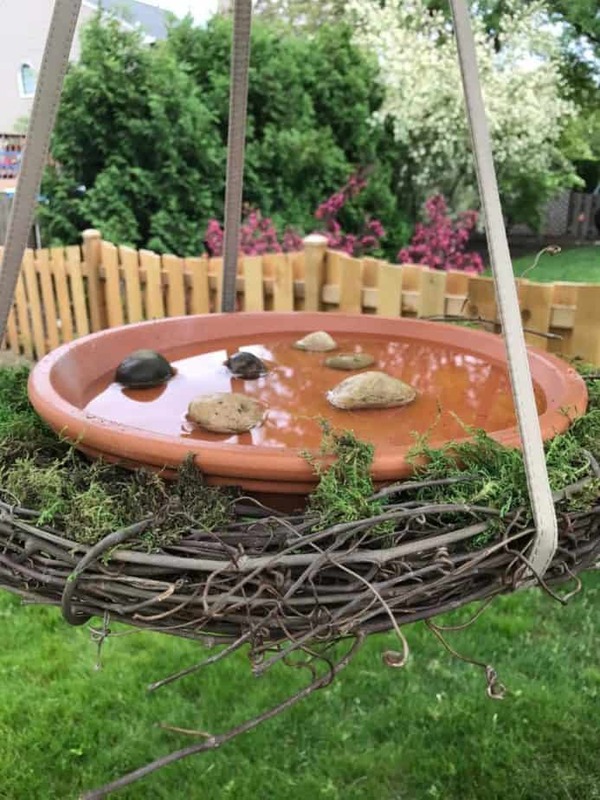 Check out these DIY bird bath ideas to transform your backyard or front into a little resting place for your flying friends. Let’s get creative with fun and different ways to use a bird bath or make a homemade bird bath for your yard (and if you’re really bird-crazy, check out our Best Bird Feeders article to keep your feathered friends coming back). She Knows shares a variety of lamp style bird baths. 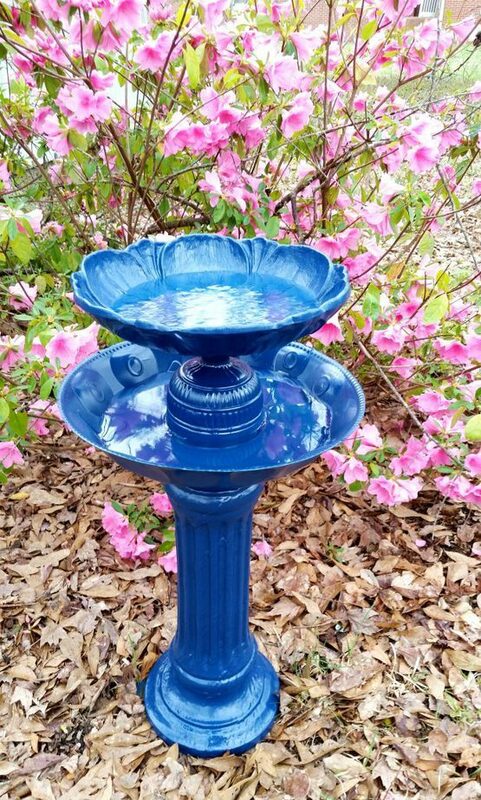 You take an old lamp and transform it into your own DIY bird bath. This is really creative and very affordable to do. See how to make one today. Our Creative Life shares how they took different sized clay pots and created a homemade bird bath. I love how they painted to pots to add some more personality to the new bird bath. Learn how to make one. Repurposing is something I love to do, and taking a tomato cage and transforming it into a new form is beyond creative. Check out how My Abundant Life takes a metal tomato cage and transforms it into a really stunning bird bath. See it here. 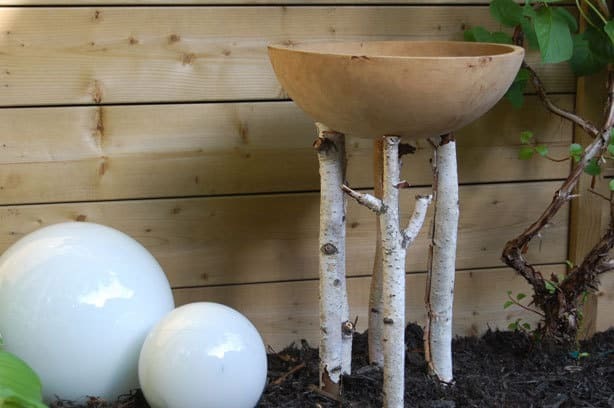 Check out how The Heart of Doing Stuff made branches become legs for this really elegant and modern bird bath. A great piece to stick into your landscaping for birds and butterflies to rest and get a drink. Check it out here. Over at Robins Nesting Place they merely stacked some old bricks together to create a stunning bird bath. You probably have some bricks laying around and can make your own affordable bird bath. See how they did it. Birds & Blooms share how they created a beautiful bird bath by using a large leaf and a few other materials. 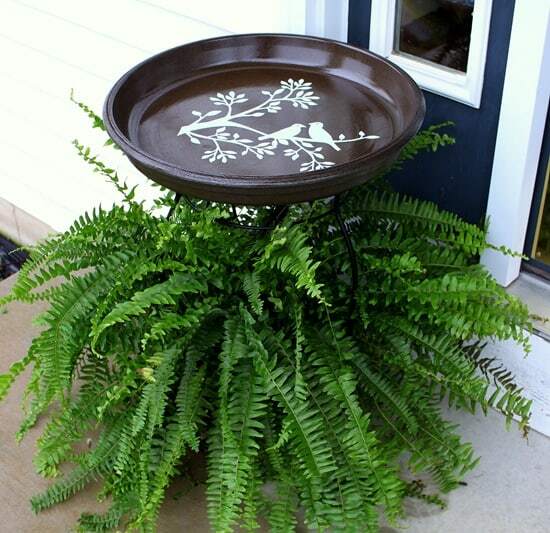 This bird bath will add tons of character to your patio or flower garden. You don’t want to miss this. Daisy May Belle shows you how easy it is to take an old chair and repurpose it to a remarkable and functional bird bath. I love taking something old and turning it into something new. Learn how to make your own here. 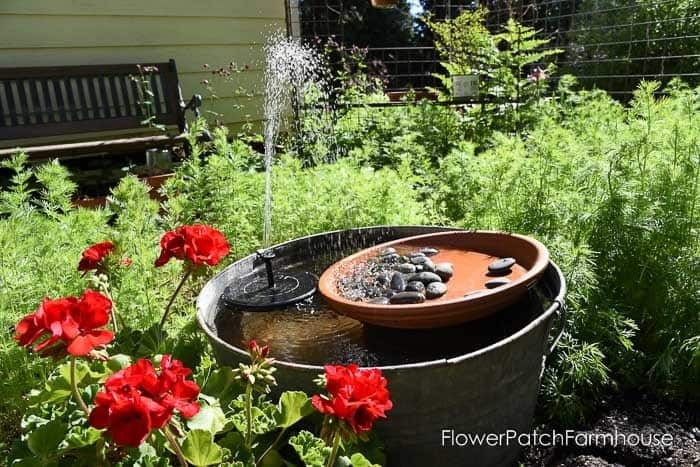 Mami Talks provides a detailed tutorial on how she made this beautiful bird bath with flowers only using a couple of urns, saucer, spray paint, and potting mix. It is so simple and so elegant to assemble your own! Check it out. Check out Morena’s Corner where she salvaged old teapots, saucers, and teacups to transform them into a whimsical art piece for your yard. You will be surprised by how simple this is! Make your own here. 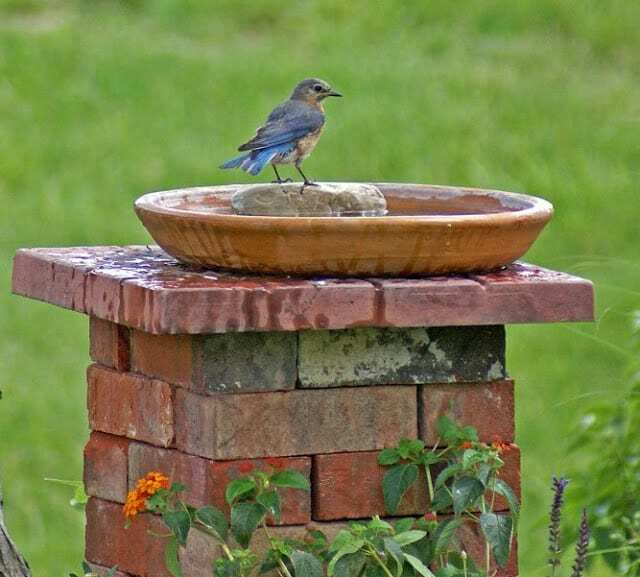 Brand Newell Designs provide a fantastic guide on how to make your own terra cotta bird bath with a few simple materials. 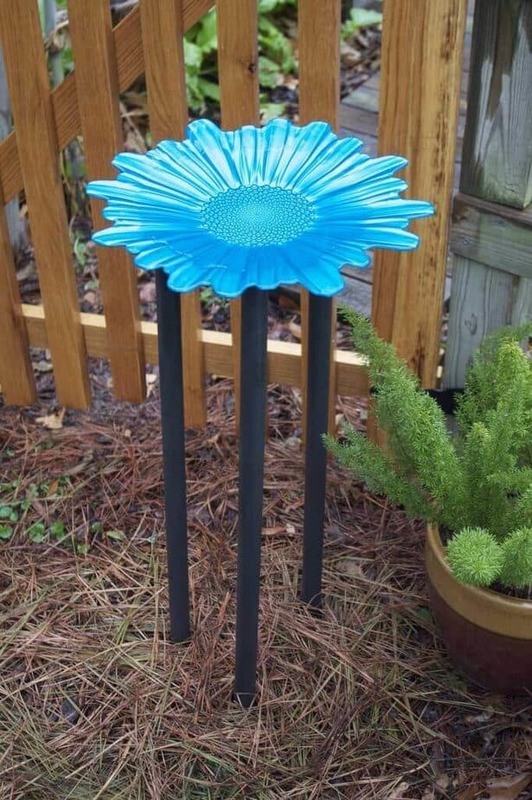 It turned out amazing and will add some gorgeous flair to your yard. How to make one. If you are looking for detailed instructions on how to make an inexpensive bird bath you should visit Home Jelly to see how they did it. The vibrant colors are sure to transform any outdoor space. Check it out here. 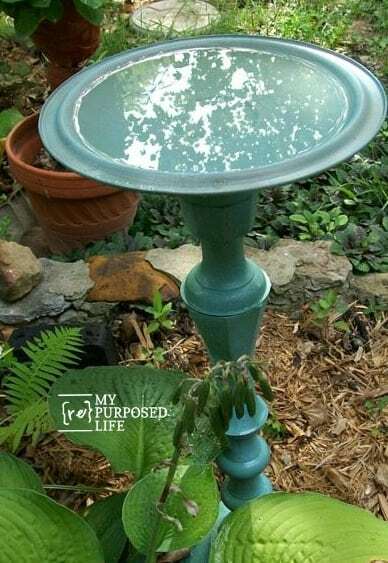 Visit My Repurposed Life to see made a comfortable bird bath using an old candlestick and a few other supplies. The finished product is fantastic, and I love that she repurposed something to make it. How she did it. 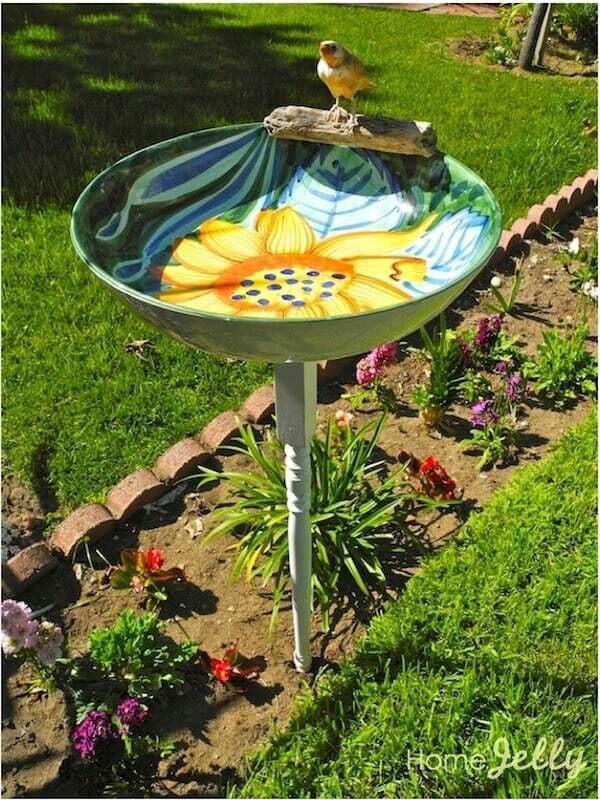 You will be blown away by how fast Just A Girl created this one of a kind bird bath using simple materials. It is unique, easy to make and looks lovely anywhere you put it! Check out this tutorial. Sprouts And Stuff give detailed instructions on how you can make your own concrete bird bath. I love the industrial look and style. 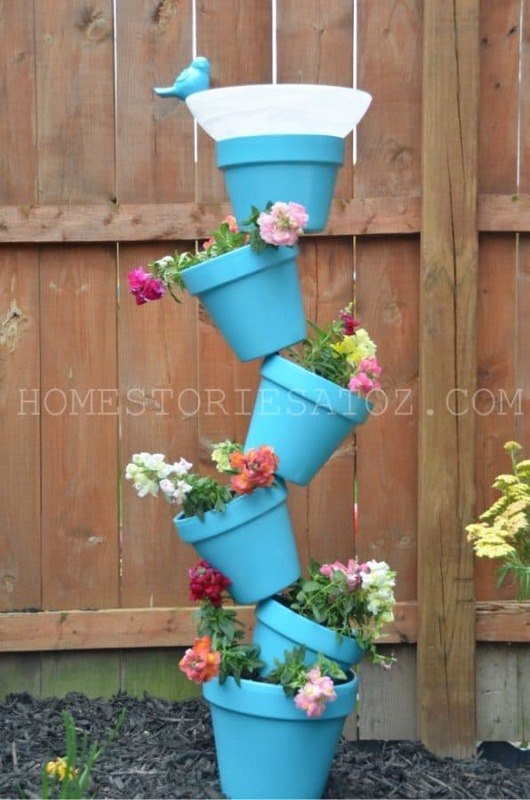 It would go perfectly in any garden setting. See the directions here. 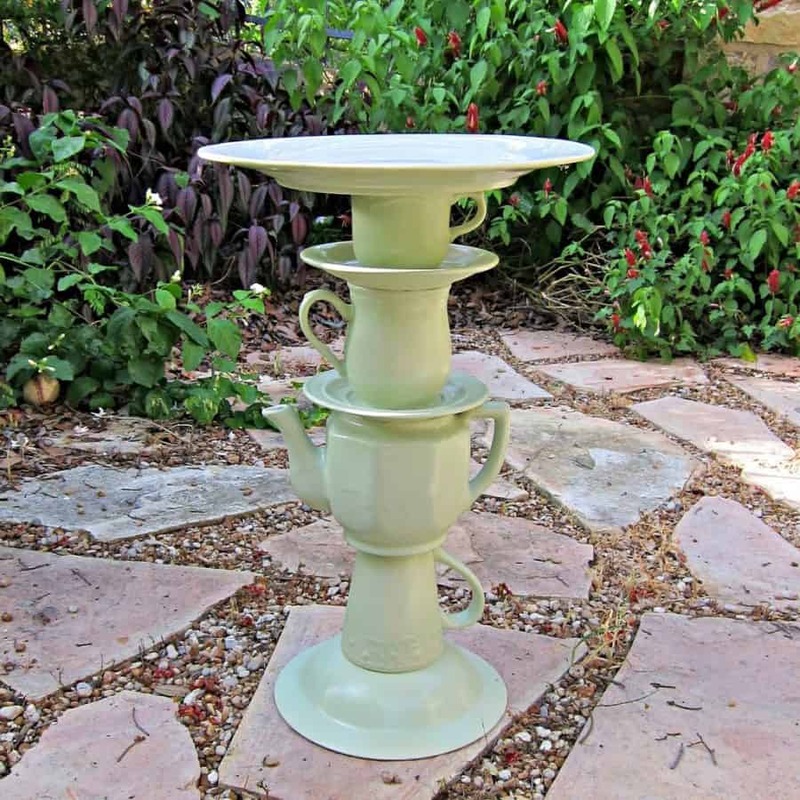 Thrifty Muse shows you how to take some inexpensive materials and upcycle them into a charming bird bath that won’t break the bank. You will end up with an exquisite piece! Find out how they did it here. 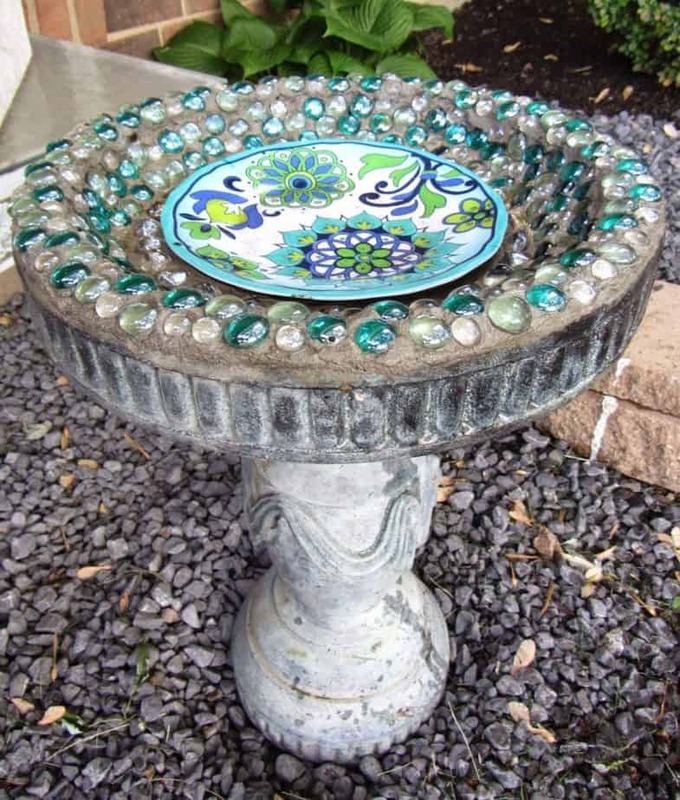 Birds & Blooms created a delightful bird bath using vibrant glass tiles. 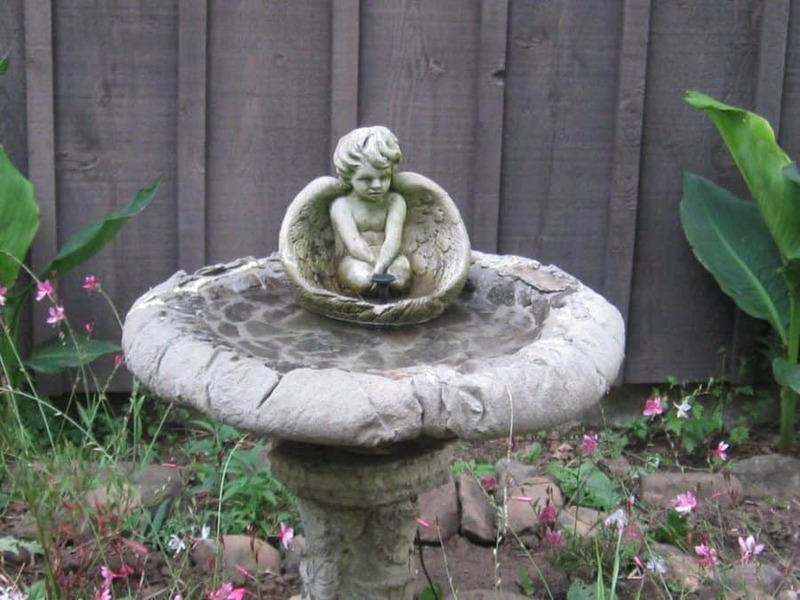 It takes little time but you will love the result of your bird bath. You can personalize it to fit your likes too! How to make one yourself. Over at Flower Patch Farmhouse she shows you how to make your hummingbird bath that is solar powered. Make your own, and soon you will get to relax while watching the birds play in the water. See how she did it. Following The Master Gardener gives you instructions on how to take an old worn out bird bath and give it new life. 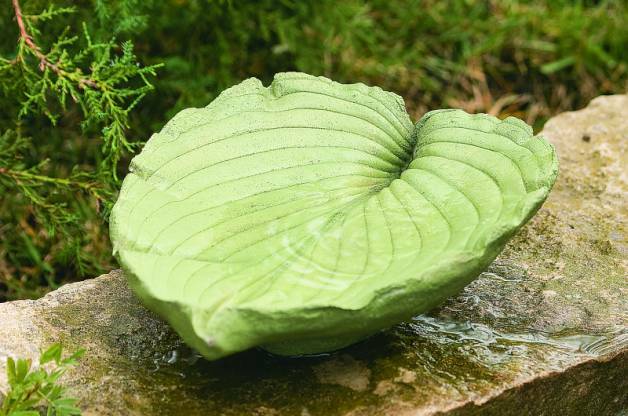 Restore your birdbath instead of throwing it out, and you are going to love the new look! Check it out. Home Stories blew it out of the park with this fantastic bird bath. Your feathered friends are going to love bathing in this beauty. The best part is that it is super simple to make and won’t hurt your budget. Make your own. HGTV made this genius bird bath out of an old tired sink. I love how they created an unusual piece instead of just throwing the sink out. Plus, the birds are going to enjoy it! Follow these instructions to make one. Little House in the Suburbs shows you how to make your own simple bird bath using minimal materials. When you are done, it will look like it costed a fortune! Try for yourself. Over at Our Fairfield Home & Garden they had a scorching summer and wanted to make sure that the birds had plenty of options for finding water. The stacked stone birdbath turned out exquisite! Check it out! 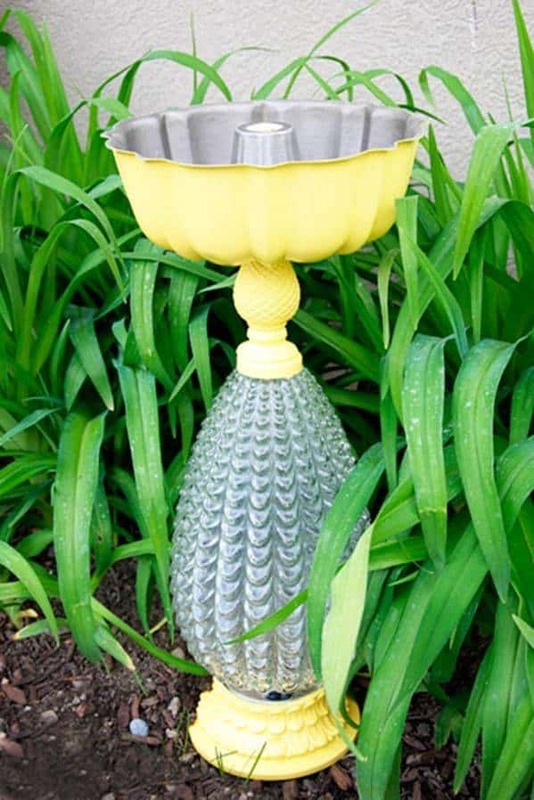 Logan at Instructables shares how he made a solar-powered DIY birdbath fountain. I love how magnificent it turned out! Make your own customized fountain here. Sometimes Crafty was inspired to make an Alice in Wonderland themed bird bath, so they created this awesome topsy-turvy one. I love the vibrant colors and how different it is. Take a look. Over at Sadie Seasongoods, she shows you how simple it is to make a hanging bird bath. It looks fantastic, and I love that it isn’t like everything else. Make your unique birdbath here. I hope you all enjoy all these fun and inspirational bird baths to add to your landscaping! 25 Awesome Treehouse Ideas That Your Kids Will Love!